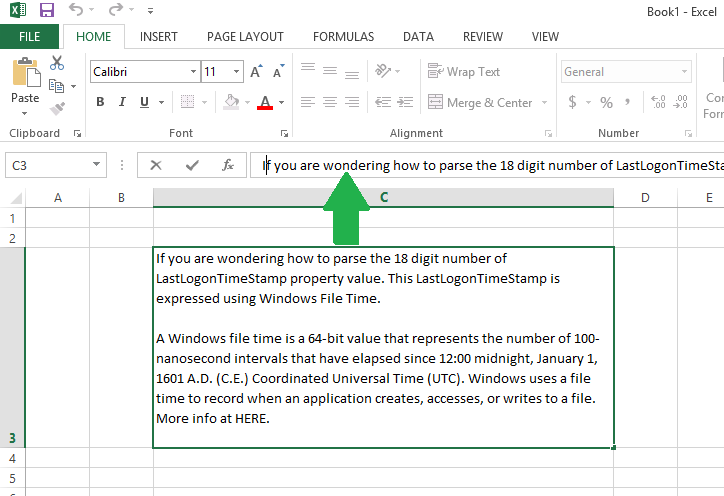 If you copy and paste multi-line text into a Excel cell, Excel pastes into multi-row or multi-column data. This blog tip is to show how to paste a text into a cell and preserve the tabs and paragraphs into the same cell. 2. On Excel, Select the cell and click on Formula bar and paste text. OR Select the cell, press F2 and paste the text. Windows 8.1: Where the heck is Start-up folder? Microsoft ditched the start-menu in Windows 8. I get that. BUT we used to get to the start-up folder using start-menu, so we can place few shortcuts to start automatically when we log in. How the hell am I going to find it in the GUI? No where. Place your software/program shortcuts here. Type list disk and press Enter. Note the list of existing disks. Type list disk and press enter again. Note the new disk showed up which is our USB disk. I assume the new disk is 2 for example purpose. Type select disk X where X is your USB disk. E.g., select disk 2. Press Enter. Type create partition primary and press enter to create primary partition 1. Type format fs=ntfs and press enter. This will format the partition 1 as NTFS volume. Type assign and press enter to assign the USB disk to a drive letter. That’s all. Boot the server or computer using the bootable USB disk. Did it help you? Leave me a Thanks.